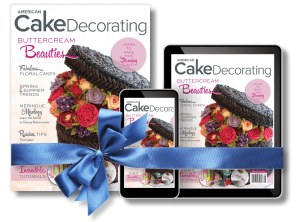 “Brushstroke ghosts embody everything I love about cake decorating. They’re easy to execute, made of delicious materials, require no special tools, and they’re adorably weird! Wins across the board, ” notes Erin Gardner. 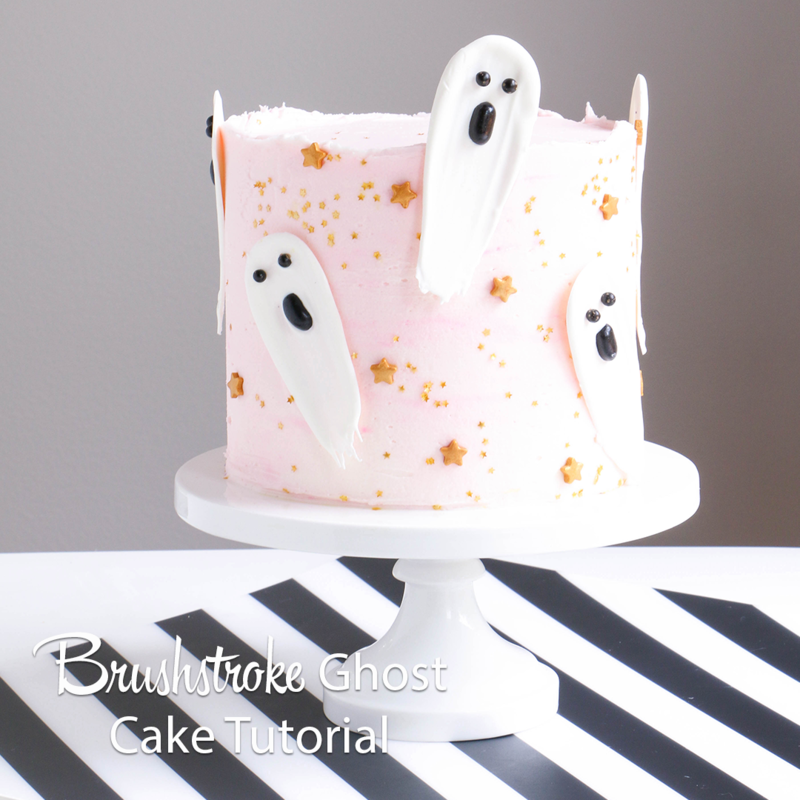 Learn to create these ghoulish decorations with this step-by-step tutorial. I got the idea for these little guys when I stumbled across a new set of paper goods designed by Hello!Lucky for Daydream Society. This post isn’t sponsored in any way. I just saw the plates, fell in love, and was instantly inspired to create a cake based on them. As much as I love Halloween and the color pink, it hadn’t occurred to me to do something in soft pastels. SO brilliant! 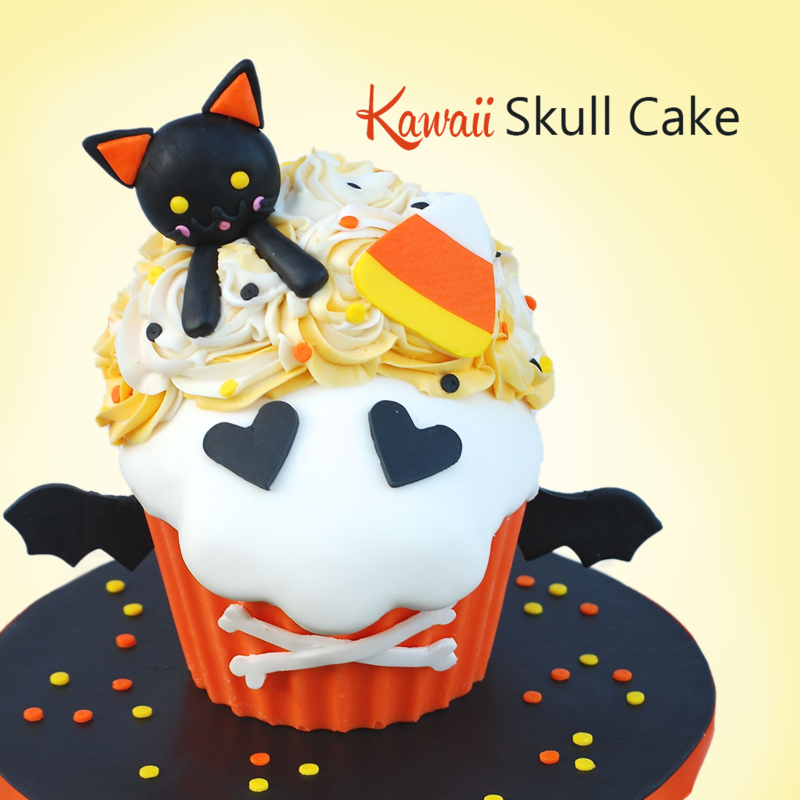 I would not be surprised at all if we see a number of cakes and treats pop up this season inspired by these precious party goods. 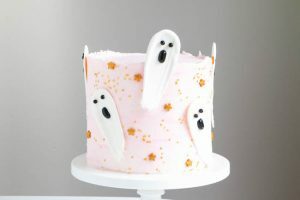 These cute little brushstroke ghosts are not only adorable on the sides of a layer cake, they also make for ghoulishly great cupcake toppers. Brushstroke ghosts come together in a jiffy, but you can also make them well in advance stored in an airtight container at room temperature until needed. 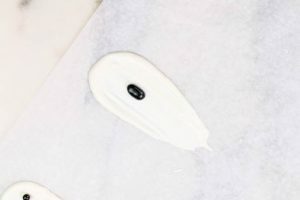 PREP YOUR TOOLS In my fiddling around with the brushstroke trend (like here on The Cake Blog) I’ve found that the best way to achieve a gorgeous rounded edge is to trim the paint brush. Pinch the flat side of the paint brush between your thumb and pointer finger to steady it and use a sharp pair of scissors to trim the edges of the bristles. Work cutting in towards the paint brush for best results. 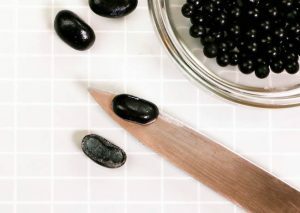 Cut the black jelly beans in half lengthwise and set aside. 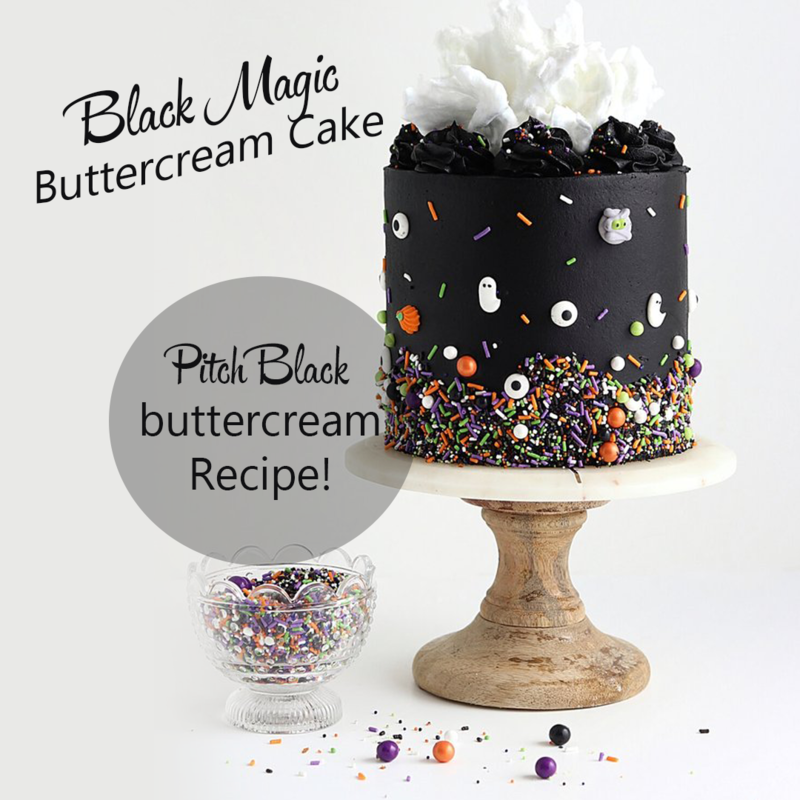 Have the cut jelly beans and black pearl sprinkles nearby when making the ghosts. using the trimmed paint brush. Go back a few times to give the smear a spooky ghost shape. While the chocolate is still wet, drop a jelly bean on, cut side down, to make the ghost’s mouth. Add two pearl sprinkles for the eyes. Repeat the process to make as many ghosts as you like. 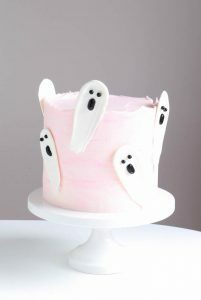 Set the ghosts aside to harden completely before using on a cake or cupcakes. 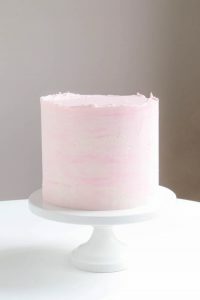 Stir a few drops of pink gel color into the plain buttercream leaving behind lots of streaks and white spots. 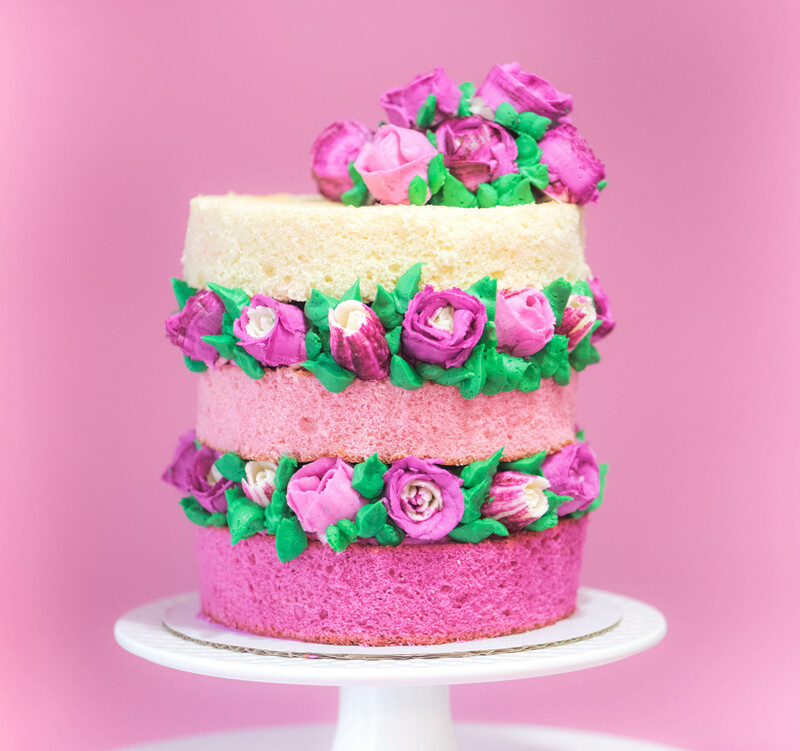 Use an icing spatula to frost the cake with the swirled pink buttercream. Smooth the top of the cake first, then run the blade of a bench scraper or long icing spatula around the sides of the cake. 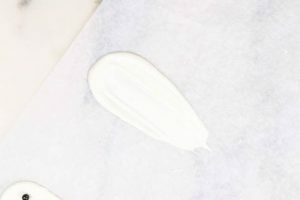 Take a break from smoothing and leave the top edge scraggly. 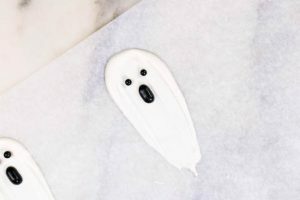 Carefully peel the finished ghosts from the parchment paper. 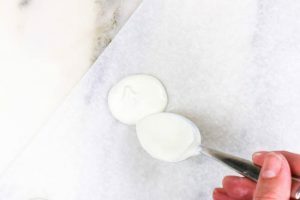 Use a small offset spatula or the tip of a knife to help lift them if needed. 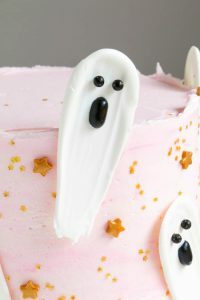 Add a dab of buttercream to the back of a ghost before pressing it onto the side of your cake. Slide a sheet pan under your cake and artfully toss pinches of edible stars and star sprinkles around the sides of the cake. 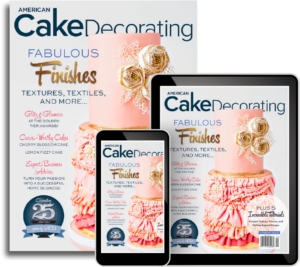 Martha Stewart Weddings and Brides magazine as one of the top wedding-cake pros in the country. 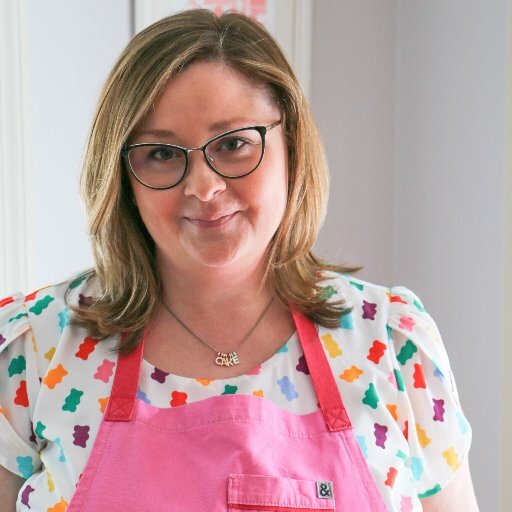 After the birth of her second child, Erin made the big decision to move on from Wild Orchid Baking Co. and launch her website, Erin Bakes, where she draws on her fine pastry skills, modern cake-design aesthetic, and overall kitchen MacGyver-ness to create easy, accessible, and delicious recipes and cake-decorating projects.